I’ve been receiving multiple requests from BNF fans requesting for a fruit cake recipe. 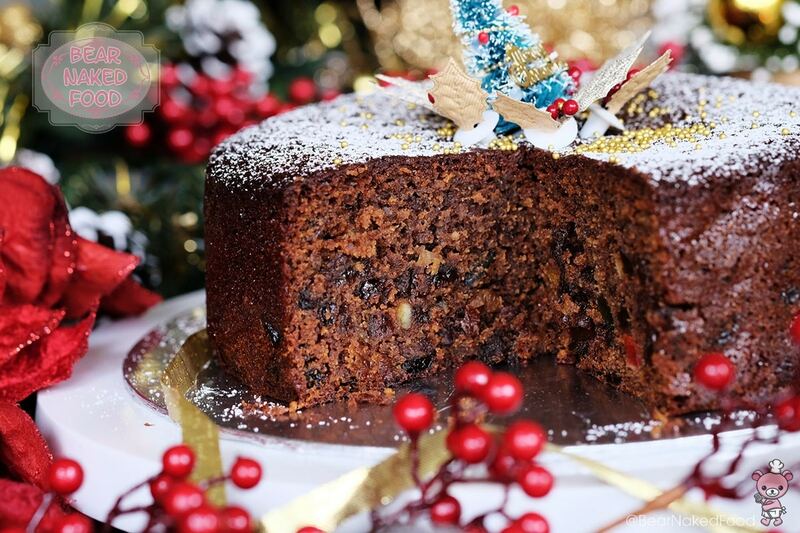 After multiple researches and few recipes' tests, I’m proud to present you this Quick and Easy Christmas Fruit Cake. This recipe is quite forgiving and if you follow this recipe, it is really fail-proof. You can have your cake and eat it on the very day! That being said, it takes a day for the flavor to fully develop, so I highly recommend you to eat it the next day or the day after. In a large pot, add in everything listed in Ingredients A, stir and bring to boil. Simmer on gentle heat for 5 mins, stirring occasionally. Turn off heat and let it cool for 20 mins, until lukewarm to touch. Lightly whisk the 3 eggs together and pour into the pot of fruit sauce. Using a spatula, mix until just combined. Add in the rest of ingredients B and fold until the flour just disappear into the batter. Pour into a lightly greased 8” round tin lined with non-stick baking paper around the sides and base. Note: The sides should be double the height of the tin. This acts as an insulation to ensure even baking throughout. Bake in a preheated oven at 300ºF/150°C for 1 to 1.5 hours. A skewer inserted should come out clean. Remove from oven and set to cool on a wire rack. The flavor of the fruit cake will be fully developed by the next day so it’ll be the best time to consume it. Cover and store uneaten portion at room temperature for up to 5 days. The cake can be frozen for up to 3 months.